This entry was posted in Desserts and tagged baking, cupcakes, dessert, homemade, lemon, strawberry, vegetarian on 2015-06-24 by activebeans. This a really easy and quick pie. And if you love nuts and chocolate you will surely love it. We just used the nuts and chocolate we like but you could use whatever nuts or chocolate you prefer. This entry was posted in Desserts and tagged baking, chocolate, homemade, nut, pie, tart on 2015-03-07 by activebeans. This entry was posted in Desserts and tagged baking, buns, cinnamon, dessert, homemade, snack, vegetarian on 2015-02-28 by activebeans. This entry was posted in Desserts and tagged advent, baking, cake, Christmas, cupcakes, dessert, homemade, vegetarian on 2014-12-18 by activebeans. 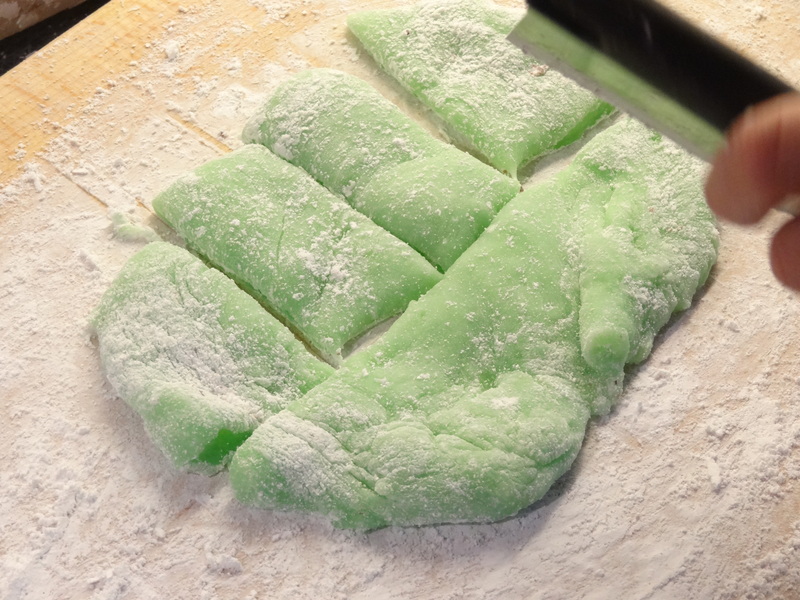 You can’t celebrate anything without dessert, so for Hangul Day, we made some delicious chapssalddeok, a Korean sweet rice cake with a red bean filling. 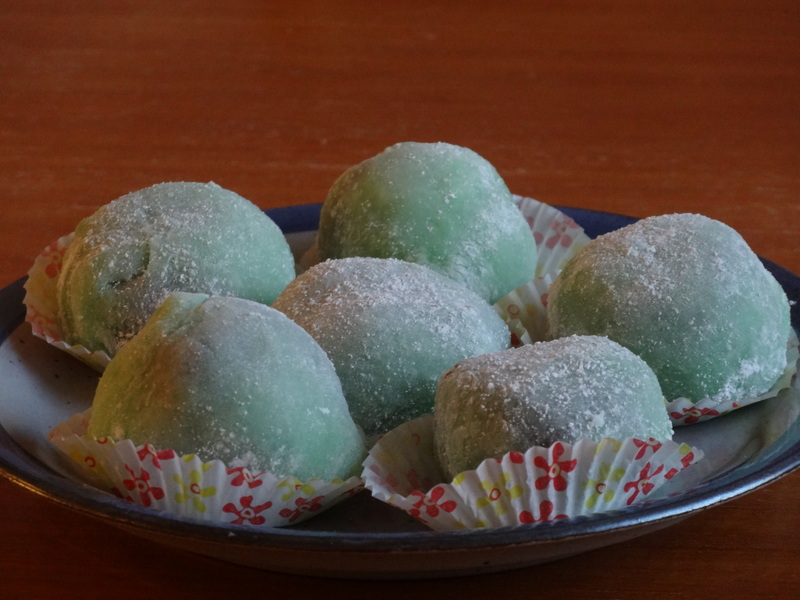 They taste unlike any typical western-style dessert and, once you get used to the red bean taste, are really moreish! In Korea, red beans seemed to be in practically every dessert. So although it seems odd to have beans in a dessert, it really is very common in Korea (and East Asia as a whole). 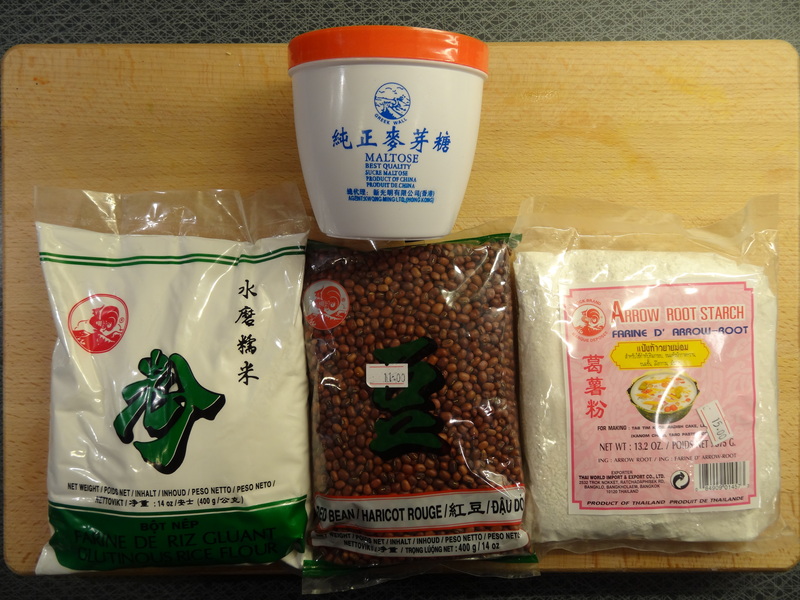 This recipe is an adaptation of a recipe from Maangchi. Rinse the beans in a sieve under cold water. Cook the beans in 0.5-1 l water. Note: This is the most time consuming part, and you may need to add more water while the beans are cooking. Once ready, pour the beans into a sieve. Mash the beans in the pan (or use a food processor). Add the brown sugar, rice syrup, vanilla extract, and a pinch of salt. Mix on a low heat for 5 mins. 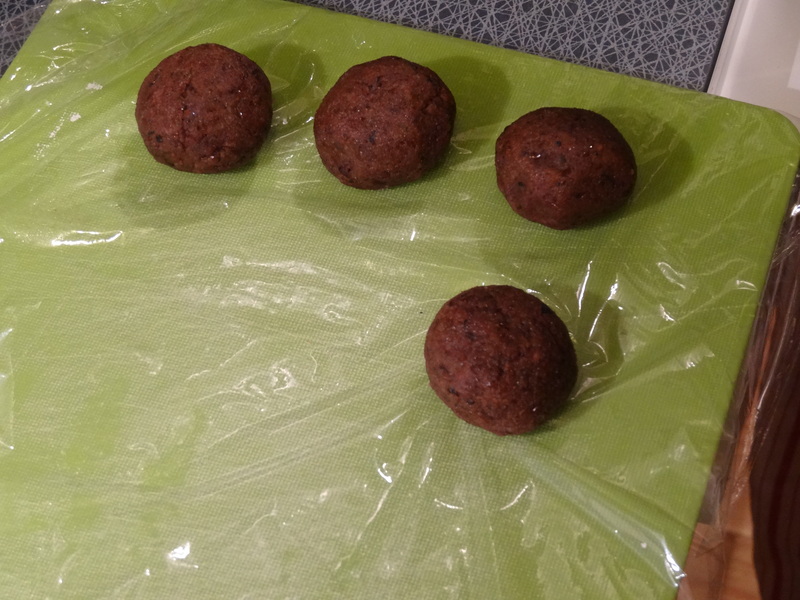 Roll the mixture into 8 balls and put aside. 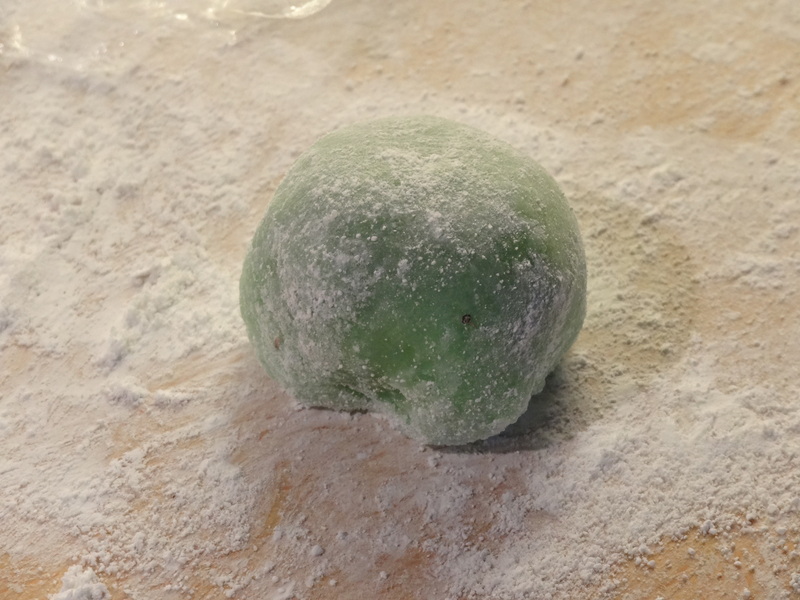 Mix the rice flour, sugar, a pinch of salt, 150 ml water, and a drop of food colouring in a large bowl. Cover the bowl with cling film, ensuring you leave a small gap to let the steam out. Put the bowl in the microwave for 3 mins on high heat. Stir the mixture and put back in the microwave for 1 min. Take the bowl out of the microwave and knead the mixture for 5 mins. 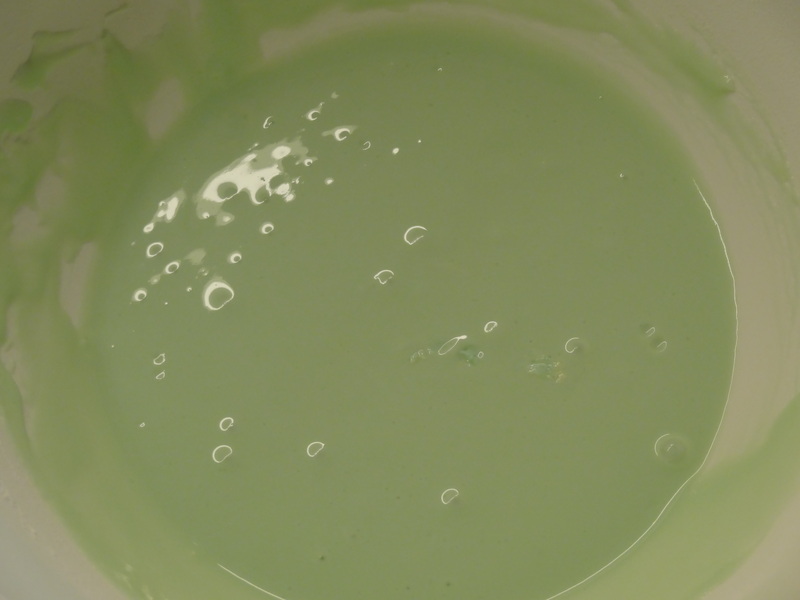 Place the mixture on a work surface dusted with the starch powder. 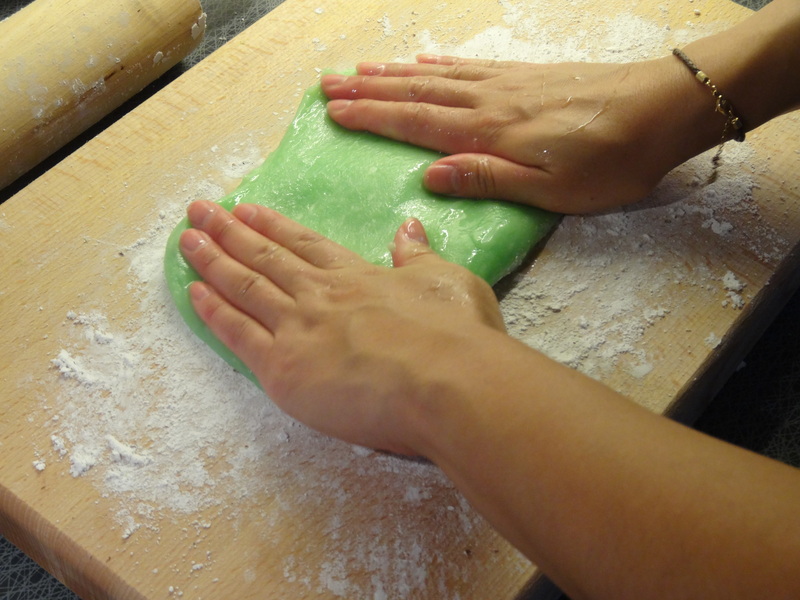 Wet your hands and spread the dough out into a flattish shape about 1 cm thick. Divide the mixture into eight pieces. 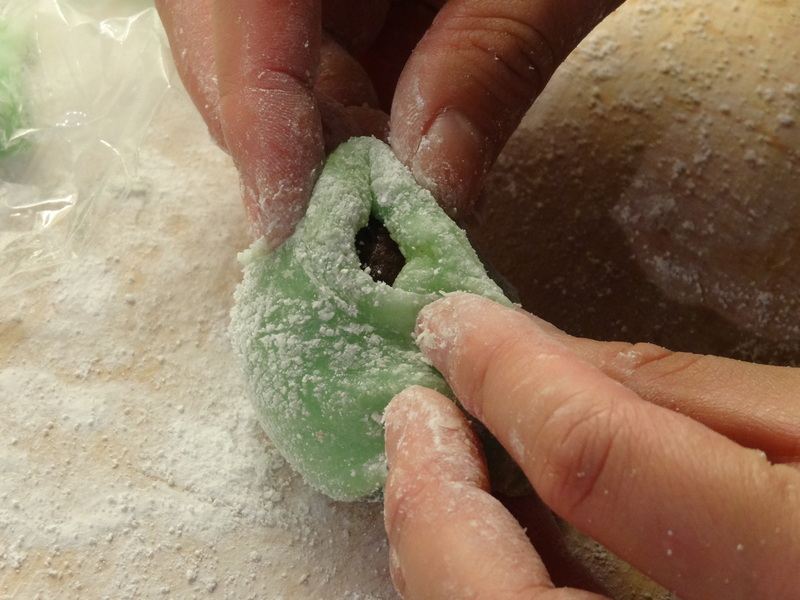 Flatten one piece into a small circle, and place one of the red bean balls on top. Pull the sides over the ball and pinch the edges together. 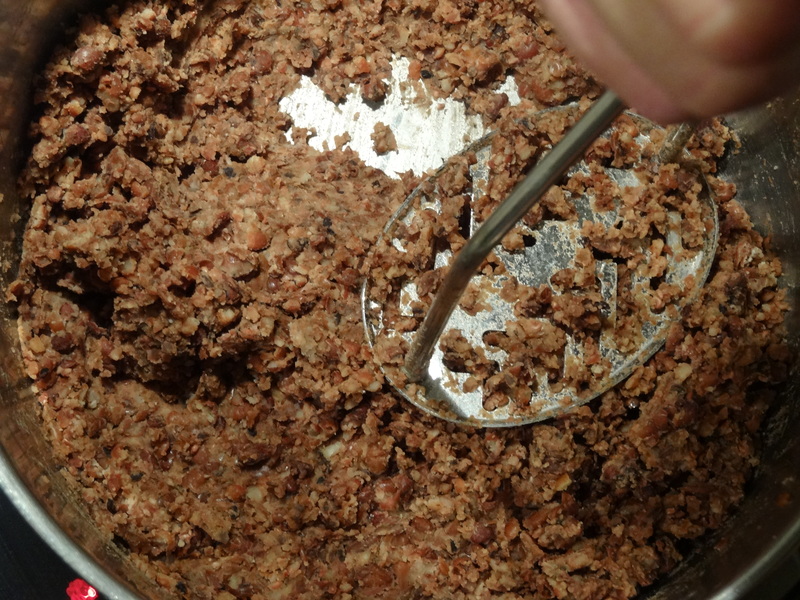 Roll in the starch powder, and repeat for the remaining chapssalddeok. This entry was posted in Desserts and tagged asian, chapssalddeok, dessert, Hangul, Korea, Korean, mochi, rice, vegan, vegetarian on 2014-10-09 by activebeans.